In the current landscape of modern data centers, IT professionals are stretched too thin. Triage situations are the norm and tend to reduce the time spent on strategic business objectives. 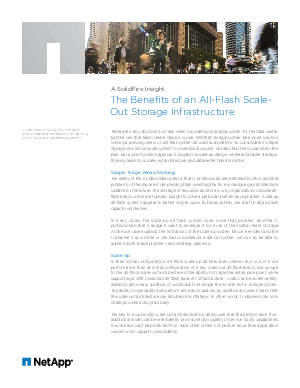 This paper offers a solution to this IT dilemma, outlining the ways to achieve a storage infrastructure that enables greater performance and capacity.